Dijon (fka Dichan) is a true French Brittany! He was born in France and immigrated to the US in the Fall of 2008. He came to BRIT in 2016 and “foster failed” his new mom and dad and best friend Charlie, another BRIT Brittany adopted in 2010. 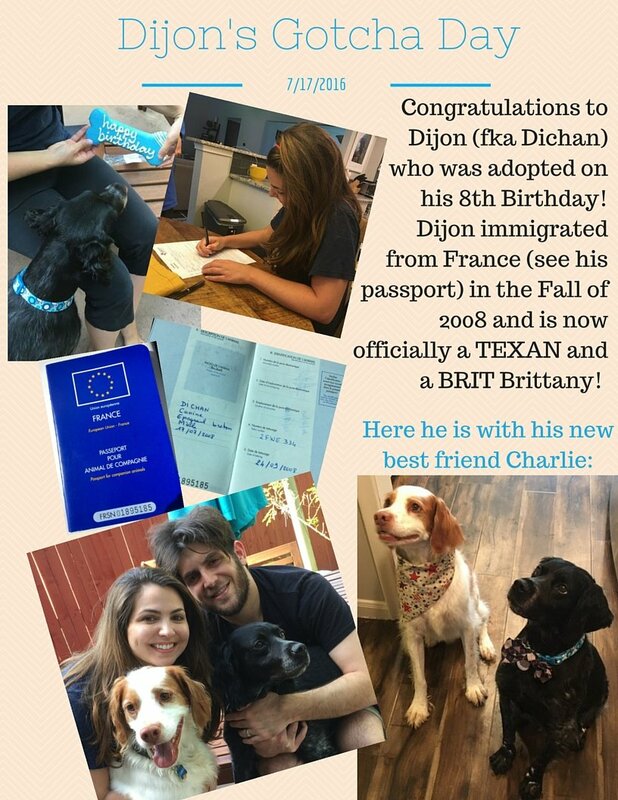 His new family celebrated his 8th birthday with a special bone and by signing his adoption papers making him an official Texan and BRIT Brittany. Congratulations, Dijon and welcome to the family!